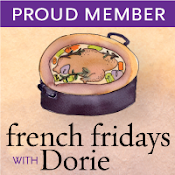 French Fridays with Dorie is a virtual cooking club. We all make the designated recipe from Dorie Greenspan’s newest cookbook, Around My French Table, and leave links to our blogs each Friday. It’s really fun and I always learn something new. 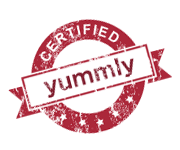 Although the recipes aren’t normally available on-line, a fellow blogger found the orange version of this one in the Cape Cod Times. Yay! 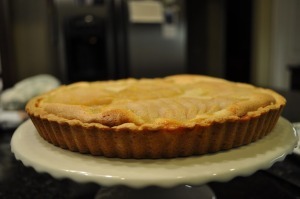 I skipped last week’s recipe because I really don’t like eggs, so I was happy to see this week’s recipe was this lovely tart. It’s delicately flavored with Butter, Almond, and Pear with a soft, sweet pastry. The Almond Cream filling reminds me of the beautiful, colorful mazipan candies I bought in confectionaries in Nice on Spring Break my sophomore year of college. 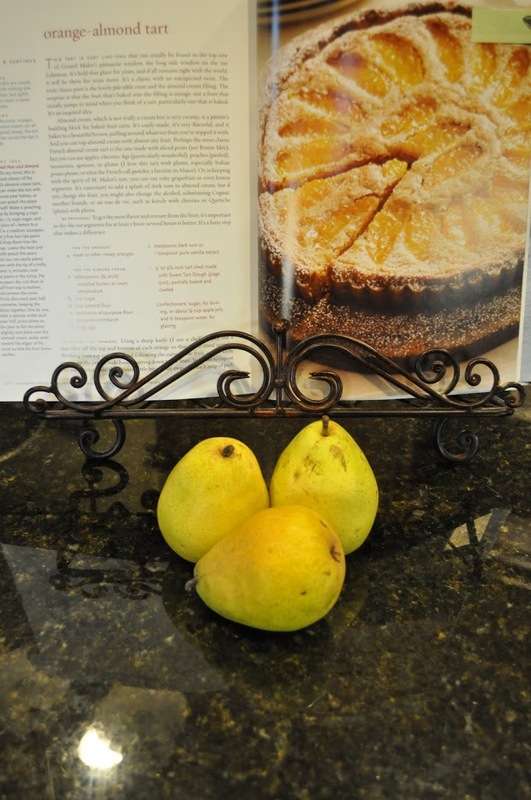 Although I love the idea of making this tart with oranges, I opted for the Bonne Idee and used pears because I had some that were ripe. I’ve poached pears in wine before, but never in a sugar-water-lemon juice syrup. They turned out beautifully. I was really surprised how easy it was to fan them out, too. 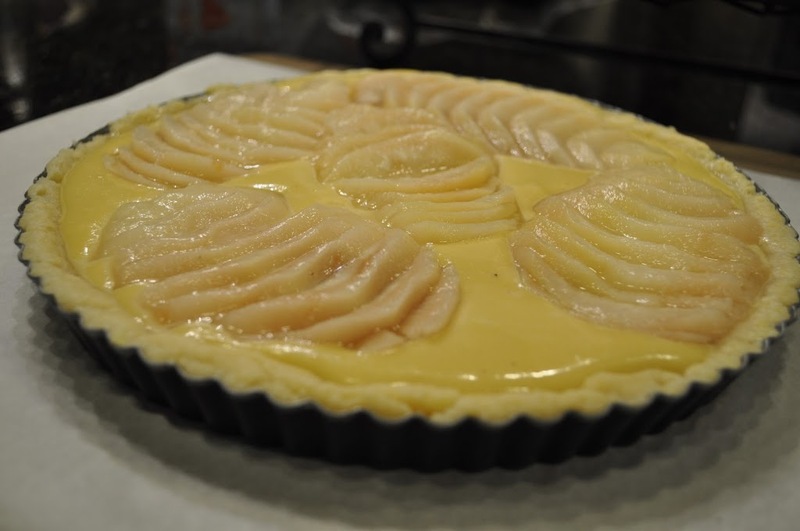 I’ve used this same pastry to make the Alsatian Apple Tart and Toasted Coconut Custard Tart from Dorie’s Baking From My Home to Yours, and it’s really wonderful – easy to make, and easy to handle. It just takes a little time, so you have to be prepared. 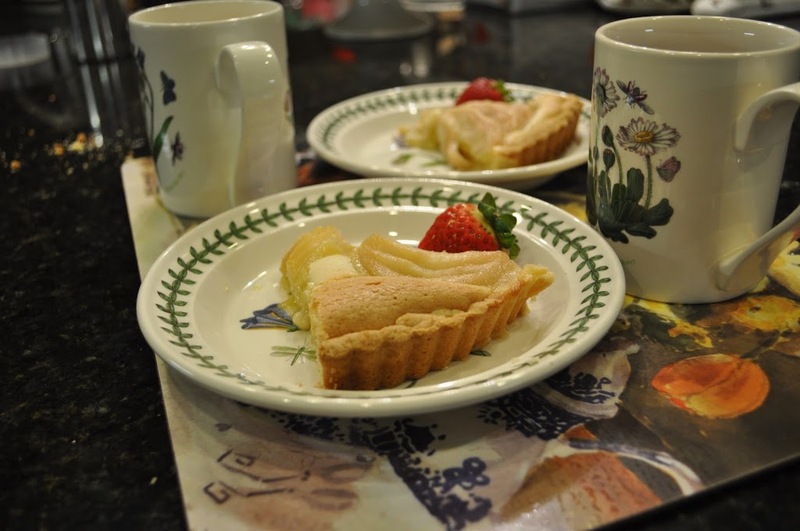 Your tart looks so pretty plated at the top with the strawberry! How very lovely! I really am eager to try the almond creme-pear combo. Beautiful! Your pears looked absolutely perfectly ripe. Gorgeous! Love the pears! Will definitely use them next time. The oranges were good, but I think the pears would be so much better! Your crust looks amazing! I made mine with pears, too…SO yummy! 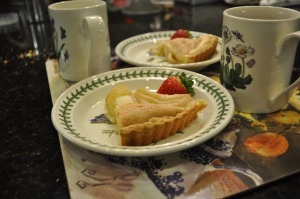 Okay, your photos and finished tart: totally food magazine worthy! I bet it tasted amazing–I was intimidated by the “poaching pear” part. The puffed almond cream looks perfect! Glad to hear from someone who tried it using pears. I can’t wait to try that combo. Yours looks great. Thank you all so much for the compliments! This is such a fun group & I learn something new every week! I like how you arranged the pears – very pretty! This looks so amazing! Can’t wait to try the pears. WOW! Your tart is fabulous. It looks professional. 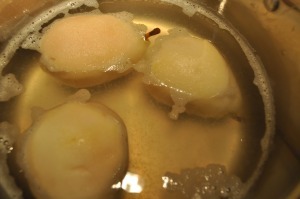 I’m happy to see a different version…I am excited to try pears next time. So, so pretty! I’ll bet the pears were sublime in this. Great idea. I’ll have to try that next time too. Love your tart!!! I think pear is the way to go. I wish you would teach me what you do for crust. My nemesis. Your tart is so beautiful. Well done.